As many of you know, we like to take action and move fast on things that excite us. A couple of weeks ago, Open3DP announced their clonedel process, and we decided that we were going to be the first to jump on board. I posted that we were going to do a Kickstarter project, and begin building a Distributed Clone Factory. Unfortunately, Kickstarter didn’t see this project as fitting within their rules (I guess clone factories go on forever) and turned us down. 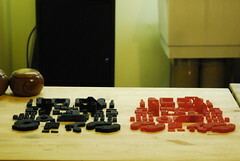 We moved ahead anyway, and have started ramping up on production of parts and mold kits. It has been nine days since the github release (the actual open source plates), and we are starting to fill orders for parts today and will be pushing molds out later this week when we get more materials. 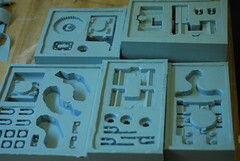 We have set up a page with paypal links for those who are interested in getting parts and molds, and just so there is no confusion, the prices listed are introductory and will last throughout the month of March. We don’t need Kickstarter, all we need is a project and the will to follow through. We will continue to fill orders after April, but we’re pricing low to raise money for the shop and another project in the works, so after our initial offer, you can expect prices to go up a little. 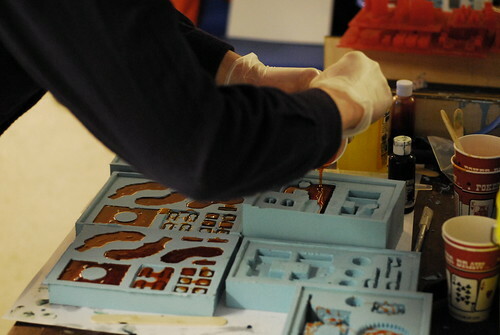 Our main focus is not producing products, it is helping you make awesome things. That said, this project is filling the shop with excitement, because it’s not just rapid prototyping, it is rapid replication on a local level. 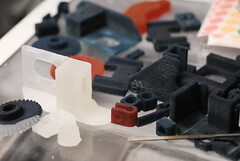 With 3D printing and some knowledge (not a lot honestly) of mold making and casting, you can increase your output tenfold. Push this out to the edge, and we move from centralized mass production to distributed mass production. Because we are bootstrapping Reprap with a cloned repstrap, there is no chance of being left behind in a dead fork either. 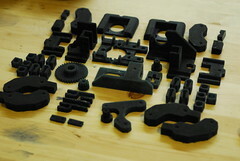 If your Clonedel is built, you can print an upgrade. If it isn’t, you can get the latest bits cast. The iteration time is so short from design to thing that we can actually ship a moving target and nobody gets left behind. It is in a basement, not a garage.